Patrick Watson has just shared a brand new MP3 from his forthcoming album Wooden Arms and it positively shimmers with Watson's voice and a rolling finger picked acoustic guitar. "Man Like You" bears a lovely, lovely melody which brings to my mind the simple beauty that Jeff Buckley tapped into in his music (download the free mp3 below). 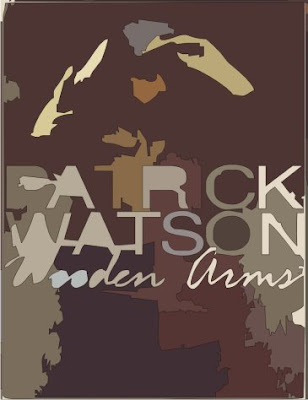 Mark your calendars now as the new album Wooden Arms hits shelves, and I believe digital services, April 28th (Canada), May 5th (US), May 8th (AUS), May 11th (UK) + (EU), and June 24th (Asia). On the road with James Brown in Europe during summer 2006, Patrick Watson adopted a dynamic approach to performing and working with other musicians. Patrick admits, "I learned how to be a front man and let the audience conduct you. When James performs, all the musicians on stage watch his hands. He takes cues from the audience's energy and conducts the show with finger movements. He's flexible about his arrangements and pacing and he's attentive to the crowds." Thus, Watson makes every show different, based on the venue and audience. Perhaps the pinnacle of his experience came when he thanked Brown for having him on the tour and James said, "Keep on rocking, little papa." man like you [mp3] - Go here for the mp3. Get another Wooden Arms mp3 here.